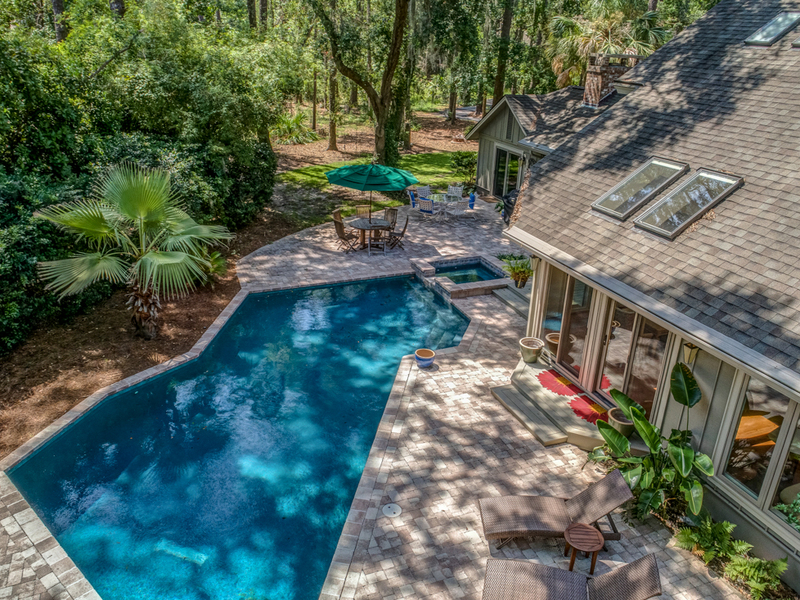 Escape to your very own Sea Pines sanctuary! 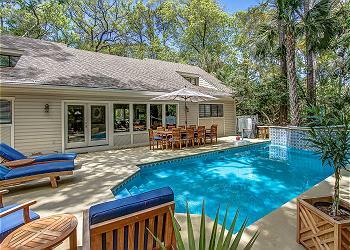 The home itself and beautiful pool area are dappled in sunlight and shade from the many swaying palmettos and moss-draped oaks. The perfect place to run-away from routine and simply relax. Plus, the house is right next to the beach path. Extensive renovations include heart pine floors throughout the living room, dining room, and game room. The kitchen has all new stainless steel appliances and granite counter tops. There are two king master bedrooms with large en-suite baths [one on each floor]. And a delightful surprise is a separate cottage accessible right off the kitchen. The perfect “in-law” suite! So bring the whole family–including the grandparents! 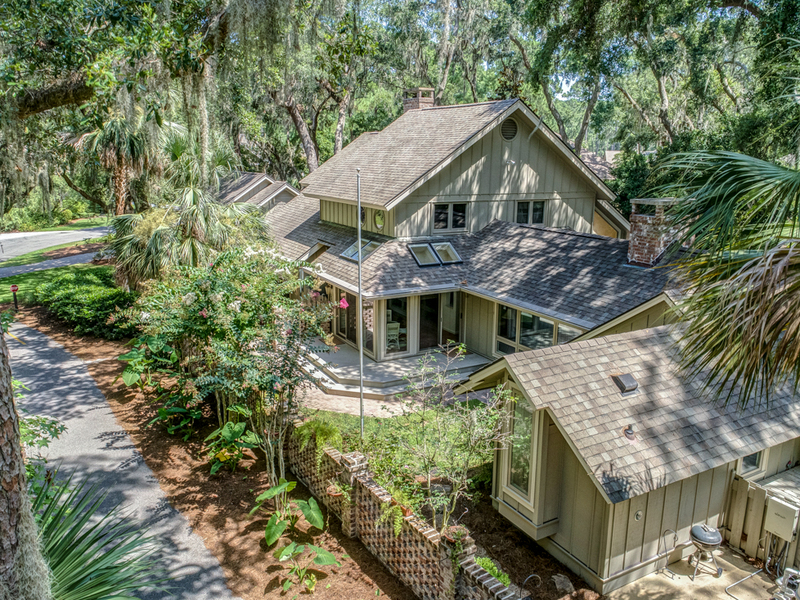 •	Take the bicycle trail in front of the house then cross S. Sea Pines Drive beach access all the way to the beach. 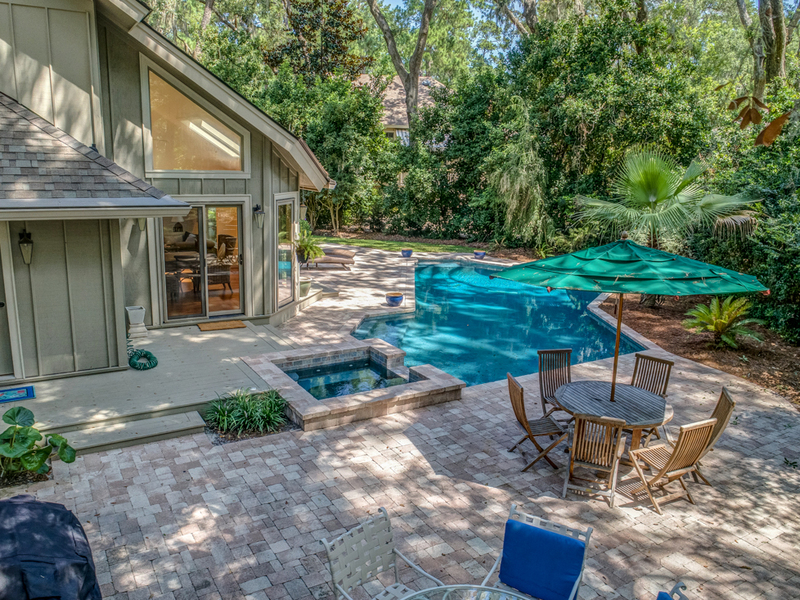 •	Private *Heated pool and spa (16 x 31) *This pool & spa have a gas heater and can be heated for an additional fee of $575-$875 + tax per week depending on the season. If you would like to heat the spa only, the cost per week is $225 + tax.